The US Navy just got a new spy plane. 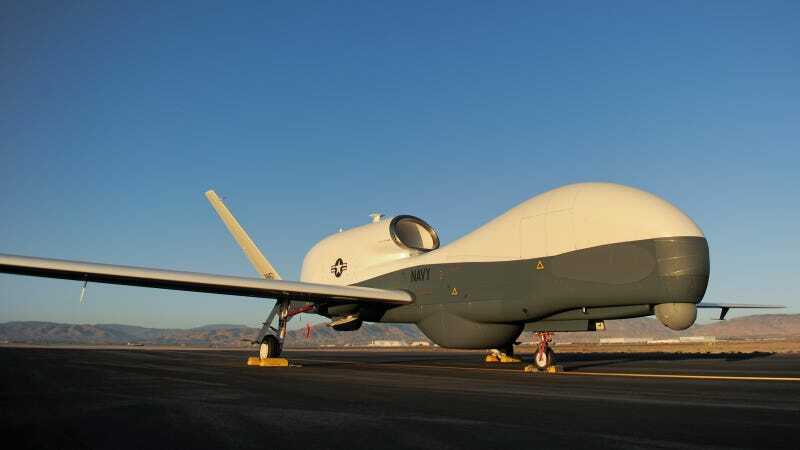 It name is MQ-4C Triton, and it has been created by Northrop Grumman for "maritime Intelligence, Surveillance, and Reconnaissance data collection and dissemination capability to the Maritime Patrol and Reconnaissance Force." The Navy says that their new drone will be used for sea "surveillance, collection of enemy order of battle information, battle damage assessment, port surveillance, communication relay, and support of the following missions - maritime interdiction, surface warfare, battlespace management, and targeting for maritime and littoral strike missions." If it looks familiar is because it is based on the RQ-4 Global Hawk. Like its US Air Force sibling, these things are really huge, with a 130.9-foot wingspan. They are long-range too: Northrop Grumman claims that it can do "large maritime distances for long periods of time for up to five simultaneous orbits worldwide." The only think that puzzles me is that the Navy is getting them just after the USAF announced that they are mothballing all its Global Hawk fleet, citing cost problems and less than optimal results.